The world ends in four months. Alessandra can stop it – but she can’t do it alone. 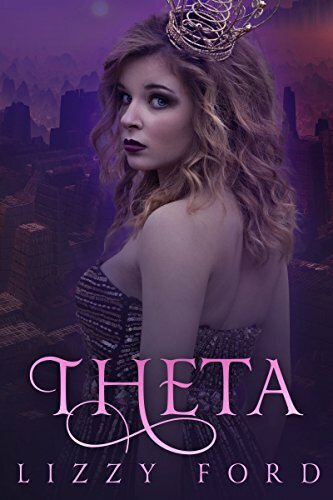 The mind of Alessandra, the Oracle of Delphi, is under the control of the Supreme Magistrate, a brilliant politician determined to use her goddess-like powers to conquer deities and humans alike. With her thoughts and powers compromised, she begins to question her ability to stop the apocalyptic future revealed to her in cryptic visions – and who her enemy really is. Outside of Washington DC, the fight for survival hinders the Silent Queen’s ability to launch her attack against the political elite and the gods as quickly as planned. An unlikely ally saves her life – but it’s the emergence of the Bloodline’s hereditary curse that warns her she may not survive long enough to start the war she’s spent her life preparing for. The Grotesque Prince, Adonis, has spent his life being defined by others. On a journey of self-discovery mandated by the goddess Artemis, he returns to the lands he once ruled, four thousand years ago. Instead of uncovering the object Artemis tasked him to find, Adonis’ quest leads him to a mysterious figure possessed by much more than answers.